10/31/10 - Site Update: massive update to the Harvesting & Scavenging Guide, including over 10 new node types and/or levels and over 100 waypoints added to new and existing nodes to cover all of S1. Added a Repeatable Mission List covering all of S1, revised the Miscellaneous Tips section to make all tips current and added in several new tips, updated the Vehicle Database to include all mounts/vehicles craftable up to level 60 nature & science. Added the PvP Debuff Guide and a S1 Gas Station Map with over 40 gas stations listed to the Garage Locations page. Added Night Wolves to the Group Section, updated the Guide to Waypoints to include how to access your waypoints gamefile, finished inner-linking for all the Missions pages and made lots of minor adjustments, corrections, and additions throughout the site. 10/19/10 - Site Update: added S1 Omnibus Guide including all NPCs, Missions, the Collections - Plateau Books Knowledge, the Archive Coalition backstory in the Groups section, over 30 items added to the Misc. section of the Item Database, and added the 3 curious debris nodes & sturdy bookshelf with a combined total of over 150 waypoints. Massive update to Skill Books Database adding over 35 new Recipes/Schematics/Instructions and updates to all existing ones to include all craftable items up to level 60. Added nearly 150 new items to various areas in the Item Database to include all craftable items up to level 60. Added PvP Locations to the database which includes the following PvP Zones: Slaughterville, Brenhauer Gorge (Deth Zone), Fort Forgotten, Dry Flats, Lower Toro Valley PvP (The Other Road's End), Murder Hole PvP, and Dish Field. Added the CoGs & Judges to the groups section and made some minor corrections throughout the site. 09/26/10 - Today we held our third event! Check out how things went for the New Toro Takeover Event brought to you by Broken Future. With reports of as many as 130 clones in attendance, we showed up in force and confirmed that this is one of the best communities in the gaming world, period! We had a blast and hope to do many more events in the near future, so keep a look out for the next event in November. 09/26/10 - Site Update: added Enemies for Trumbull/New Toro Valley/Spider Hill/The Oasis/Road's End/& Canyon Overlook, including 36 new humanoids & 14 new biologic drop logs for the Harvesting & Scavenging Guide, plus added new waypoints for over 20 existing enemies found in these areas. Updated Storylines Missions, catching up all the missions for the White Crow, Who Are You Clone?, Bankers, & Franklin's Riders storylines. Added Blade Dancers, Gully Dogs, & Franklin's Riders to the Groups section. Sorted all Merchants & Trainers into seperate pages for easier navigation. Added the New Game Tutorial & archived the Old Game Tutorial. Added Official Fiction short stories: Drained, Good Business, & Our Struggle. Lastly, made some site navigation tweaks, small cosmetic updates to the appearance of the site, & minor adjustments to correct changes from recent patches. 09/19/10 - Site Update: added data for the rest of Toro Bend and Plateau-Northfields Wastes areas. The following areas have been added; Trumbull, New Toro Power Station, Spider Hill, The Oasis, Road's End, & Canyon Overlook. All applicable data has been uploaded covering the following page types; NPCs, Merchants, Missions, Locations, & Points of Interest with just the Enemies pages to be added in the near future. Added over 35 mission items to the Item Database. Added Enemies for Watchtower/Missile Silo/& Trailer Park including 39 new humanoids & 9 new biologic drop logs for the Harvesting & Scavenging Guide, plus added new waypoints for over 22 existing enemies found in these areas. Updated Garage & Bunker Bar Locations to complete Sector 1 Plateau, added The Guide to Waypoints, added 4 Official Fiction stories: The Daughters of Sarah, Troubleshooter, The Doctor's Journal, & What Do I Remember?, and finally made a bunch of minor tweaks and adjustments across the site. 08/24/10 - Site Update: Added Merchants & Locations pages for Watchtower/Missile Silo/Trailer Park/Murder Hole/& Lower Toro Valley. Added Points of Interest Pages for Watchtower & Trailer Park. Massive update to Storylines section, catching up all the missions for Building Your ATV, Bankers, GlobalTech, White Crow, & the CoG storylines. Also added over 45 Mission Items to accompany recently added missions from the previous site update. 08/16/10 - Site Update: Added NPCs & Missions pages for Watchtower/Missile Silo/Trailer Park/Murder Hole/& Lower Toro Valley. Massive update to Skill Books Database adding over 40 new Recipes/Schematics/Instructions and updates to all existing ones to include all craftable items up to level 45. Added over 100 new items to various areas in the Item Database to include all craftable items up to level 45. Updated inner-site linking for rewards on the Missions pages to include newly added items. 07/18/10 - Site Update: Added data for the Mowbray Basin and Pass Chris/Murphy areas. The following areas have been added; Coppermine, Mowbray Basin Refugee Town, Mowbray, Pinkston, Rawson Farm, Pass Chris, & Murphy Refugee Camp. All applicable data has been uploaded covering the following page types; NPCs, Merchants, Missions, Locations, Points of Interest, & Enemies. Also added over 35 mission items to the Item Database. Enemies added for Pass Chris/Murphy & the Mowbray Basin Region consist of 21 new humanoids & 7 new biologic drop logs for the Harvesting & Scavenging Guide, plus added new waypoints for over 25 existing enemies found in these areas. Completed the Tier 3 Human Droplist and updated the Old Kingman Enemies page to include the new droplist where applicable. Updated the Garage and Bunker Bar Location pages to include data from the newly added areas. Added about 20 new items to various sections of the Item Database. Added 3 new stories to the Official Fiction section and made some minor tweeks and adjustments throughout the site. 07/15/10 - Today we held our second event! Check out how things went for the Needle Eye / Linewood Massacre Event brought to you by Broken Future with special guests; The Legends of the Fall, Wolves of War, Heero from the Lagwar FE Podcast, and Slim Jammies from Pixel Junkies. We had a blast and hope to do many more events in the near future, so keep a look out. 07/09/10 - Check out the helpful article posted by Edward Marshall from massively.com called Wasteland Diaries: Fansites. 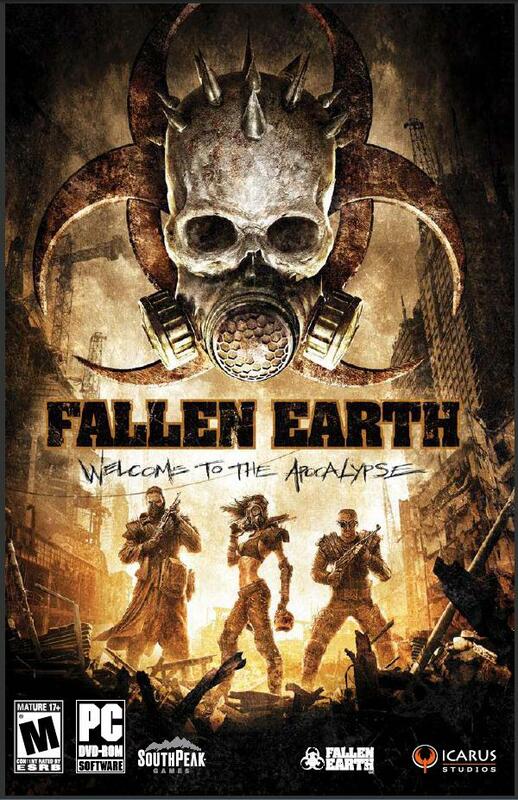 We truly appreciate the honorable mention and also feel that this is a must read for anyone looking for some insight into the fansites available for Fallen Earth. 07/05/10 - Site Update: Added Enemies for Linewood/Needle Eye/Rest Stop/& Old Kingman including 28 new humanoids & 10 new biologic drop logs for the Harvesting & Scavenging Guide, plus added new waypoints for over 25 existing enemies found in these areas. Massive update to Harvesting & Scavenging Guide, updated waypoints for most existing nodes, added 38 Scavenging Nodes, 14 Nature Nodes, & 4 Geologic Nodes, also added various node lists for clusters with mixed node types. Updated all special ability books & all consumables to reflect changes from Patch v1.4, and a few other minor tweaks and corrections throughout the site. 06/19/10 - Check out episode #39 of the LifeNet Fallen Earth Podcast brought to you by Heero & company. This is a special episode for us here at the BFC with the site creator JKillz making a special guest appearance on the podcast to talk about how the Broken Future Database came to be, our partnership with the clan Legends of the Fall, and discussions about some hot topics going on in the wasteland. This is a must for all Broken Future fans and members of the Legends of the Fall. 06/12/10 - Site Update: Added Merchants/Points of Interest/& Locations pages for Linewood/Needle Eye/Rest Stop/& Old Kingman, added Blood Sports NPCs & Death Toll Merchants & Death Toll Items from various towns, added Slaughterville Merchants to the Clinton FARM Merchants page, added Combat Guides section with 2 new guides (How to Overcome Fears of PVP Zones & Guide to Buffing), added RP Guides section with 3 new guides (The Basics to Roleplaying, RP Rules, & RP Tips), updated Location pages for Garages & Bunker Bars, overhaul of the Media section including 6 new Broken Future Wallpapers, added 25 new items, and made a bunch of minor tweaks & adjustments.